Humbly enough, I started out by changing the entire planet. I kept Europe locked in the last Ice Age, leaving only Spain, Italy, and Greece as functioning countries and thus making Europeans the impoverished and often-ignored peoples of the world. Meanwhile, Africa remained green and fertile, allowing its nations and empires to thrive, including Songhai, Kanem, and Persia. And with no “Dark Age” period, I had several countries race ahead to the Industrial Revolution, introducing our beloved steampunk machinery in the sixteenth century. Why the sixteenth century? Because it was an amazing time (in our reality: Henry VIII, Charles V, Martin Luther, Protestantism, Ottoman Empire, Unification of Japan, etc.) and I thought it could only be more exciting if I turned all of the characters and events of that century on their head. For example: Spanish conquistadors invading the New World? Failed. The mighty Incan Empire drove out the invaders handily, in part because the New World diseases devastated the Old World soldiers. Voyages of discovery around the world? Done by African aviators, not European sailors. 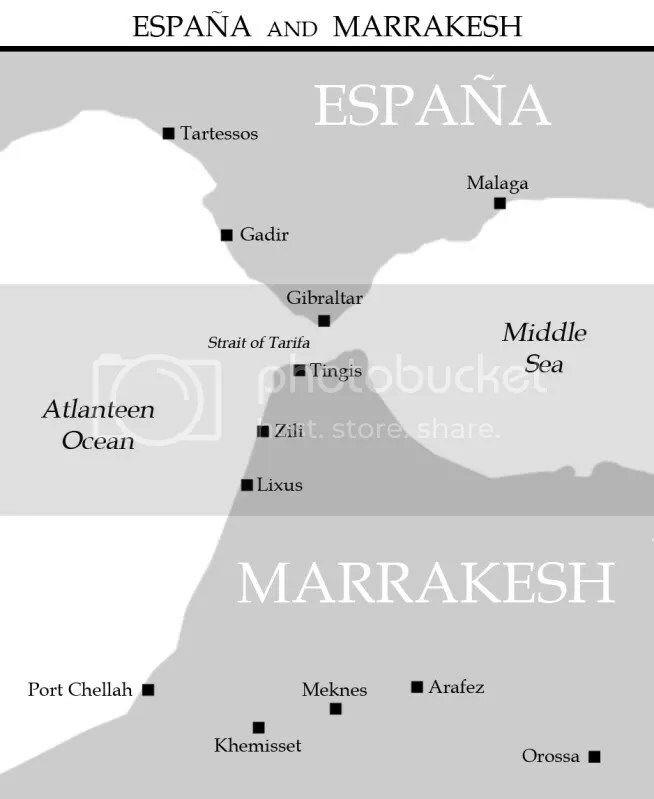 I set my first story (The Burning Sky) in Morocco, a nation that has been invaded, settled, and intermingled with countless neighbors over the centuries to create a cultural melting pot reflecting the different peoples of West Africa and the Mediterranean: Amazigh, Yoruba, Igbo, Mali, Spanish, Persian, etc. In an extension of traditional Amazigh culture, Morocco is a fully realized matriarchy with women holding the high-paying white collar jobs and men relegated to low-paying (and dangerous) labor. Thus, not only is my heroine a successful career woman (with a husband and daughter at home), but most of the supporting heroes and the villains are women as well. Note that while I changed a lot of things about our world and our history to write these stories, I didn’t actually invent anything new. 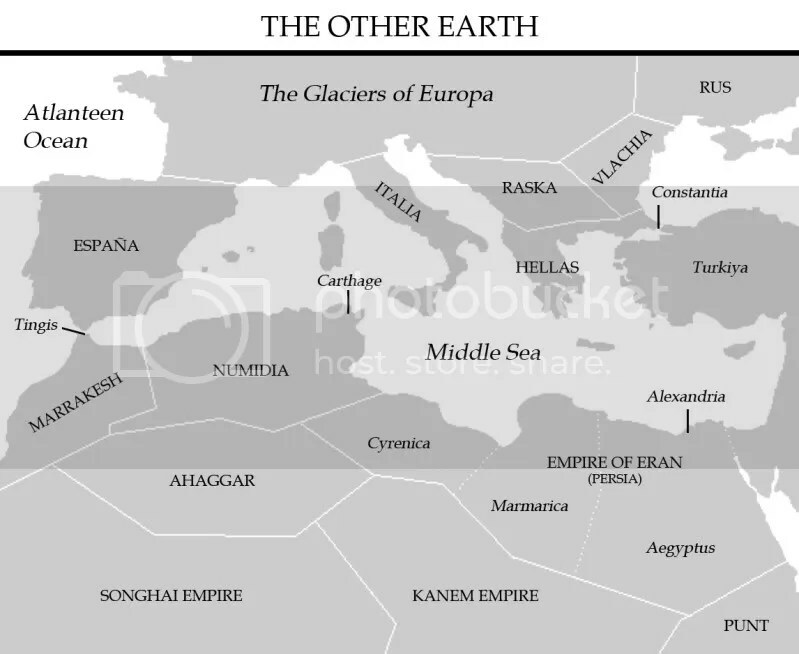 I used old names (Songhai and Numidia) or foreign names (Marrakesh and Vlachia) or native names (España and Hellas), but almost always real names. I kept old things around longer or killed off new things sooner. But all of the places and most of the people you encounter in The Halcyon Trilogy are (or were) entirely real. To help readers separate fact from fiction, each book contains an appendix that explains what is real and what is not in the novels. Our heroine is Taziri Ohana, a brilliant inventor and airship pilot who was recruited into the Air Corps for her expertise in electrical engineering. She has a family at home, and all of the problems of a full-time breadwinner who is often away from home for long stretches of time. But Taziri can’t escape the excitement of a new project or a new invention, and her loyalty to her colleagues and her country often take precedence. You’ll see her career (and family) evolve over the course of the series. The male lead is marshal Syfax Zidane, a man(!) struggling to succeed in a woman’s profession. Although his career in the military was impressive, he’s made a poor transition into law enforcement where tact and insight can be more effective than fists and guns. But Syfax is stubborn and proud, and despite whatever revelations he has about his situation, he refuses to change. His career also evolves over the series (but in the opposite direction from Taziri’s). Unknown to Taziri and Syfax, there are two other allies caught in the villains’ conspiracy. Qhora Yupaniqui is a young Incan princess living in exile, confronting the mechanical horrors of the industrial age for the first time, and longing for her homeland where life was simpler and people rode giant birds instead of trains. At her side is her lover, Don Lorenzo Quesada, a young Spanish fencer who narrowly survived the failed invasion of the New World and is now suffering an extreme crisis of faith between his life of war and violence and his new-found desire for peace and piety. Their visit to the queen of Morocco will either doom or save a nation. An explosion. Dozens killed. 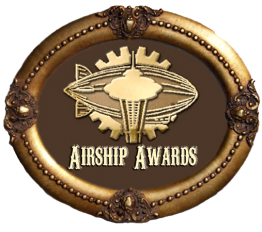 A missing airship. Taziri agrees to help Syfax pursue a killer across Morocco only to be separated from him at the next city. Working alone, Taziri follows a trail of clues that include strange electrical devices and disturbing medical experiments and she discovers a horrible secret about her own inventions in the hands of a criminal cabal. Meanwhile, Syfax trudges across the country using whatever means he can find in his dogged pursuit of the killers. Together, they uncover a vast conspiracy of wealthy businesswomen and deposed aristocrats plotting against the government. Taziri and Syfax meet again in the capital city, only to find that they’re already too late to save the queen. But the conspirators have brought with them a pair of foreigners, Qhora and Lorenzo, who have plans of their own for the royal family. If you like The Burning Sky, you can read the rest of Taziri’s story in The Broken Sword (set in frozen Spain) and The Bound Soul (set in deadly Egypt). If you do take a look at the series, I’d love to hear what you think about this world and the people who live there. Joseph Robert Lewis began his career writing about deadly firefights in Afghanistan and Iraq, studying cutting-edge information technologies, and chronicling personal journeys of exploration around the world. Now he write novels that bring together his love of wild adventure, rich character studies, stunning scientific concepts, and the amazing history of human civilization. He also loves his wife, adores his daughter, and cleans up after the cat with a minimum of grumbling. You can read more about his work on his website. The Dark Continent Rears its Rip Roaring Maw and Chomps its way into a new reality Beyond Victoriana! Bravo! Bravo! Thanks, although I doubt anyone in this world would call Africa the “dark continent”, which referred to the unexplored areas south of the Sahara. Although I can see people calling Europe the “cold continent” or the “dead continent” perhaps. I’m impressed. I like it a lot when authors explain their worlds and your world is most interesting. 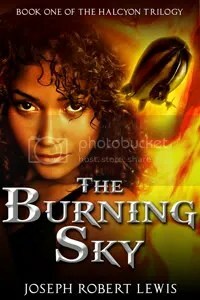 Even my reading and reviewing schedule is full I need to have a deeper look at your site and of course The Burning Sky. Thank you for a thoughtful and intriguing post on a rainy Sunday in Germany. Hi Edi, it’s always great to meet new readers from different places. I hope you enjoy the series. And feel free to ask questions about it here or over on my blog. I found out that it is possible to download The Burning sky for free over at Smashwords! Yes, that’s true. It’s a big secret that I’m trying to tell everyone about! I would love to get this book for my niece, but so far I can only find an ebook version – is there a paperback copy coming out? Or am I looking in the wrong places? There’s no print edition yet. If sales continue to rise, then perhaps I will venture into that terrain soon.